Stores up to 500 GLP records for mobile measurement of pH, mV, ion concentration and dissolved oxygen. Mettler Toledo™ SevenGo Duo pro™ SG68 Field Kit stores readings with the time/date, sensor ID and SN, and user and sample IDs. The instrument provides contact-free IR communication. The SG68 SevenGo Duo pro™ pH/ion/oxygen meter meets the highest requirements for measurements in dual-channel mode. It allows simultaneous determination and display of two electrochemical parameters with the highest possible accuracy. 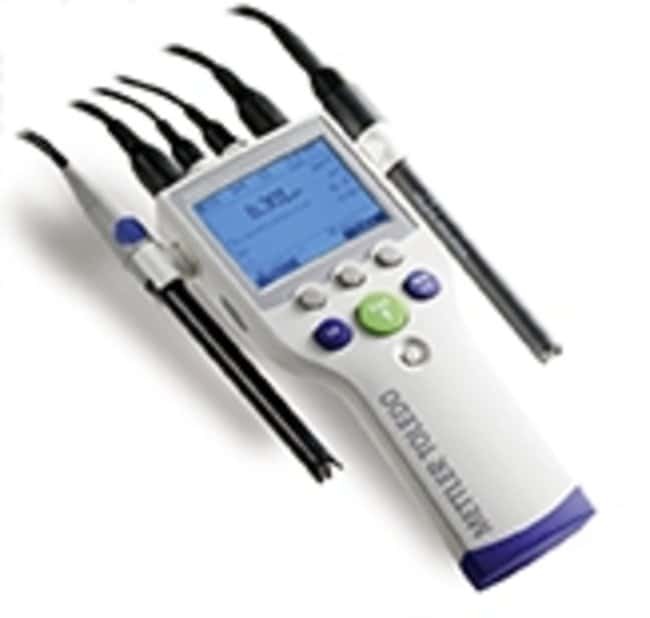 This instrument has 5-point pH calibration with a choice of 7 predefined and 1 user-defined buffer sets, and has an integrated barometer and polarographic oxygen sensor for measuring dissolved oxygen. The SG68 SevenGo Duo pro™ features extra security functions, such as PIN-protected device logon and PIN-protected system setting. The Intelligent Sensor Management (ISM™) safety feature automatically detects the connected sensor and uses the most up-to-date calibration data stored on the sensor chip.